Support from our donors has energized the campus with exciting new spaces for teaching, research, academic and public programming, as well as ensuring support for critical programs that engage students and community in dynamic and educational activities. We invite you to join our community of generous supporters to help us realize our vision for the Carsey-Wolf Center. The Carsey-Wolf Center’s public film theater, production suite, archive, media labs, classrooms, and meeting rooms provide the arena for dynamic new curricula, public programming, film series, and residencies. 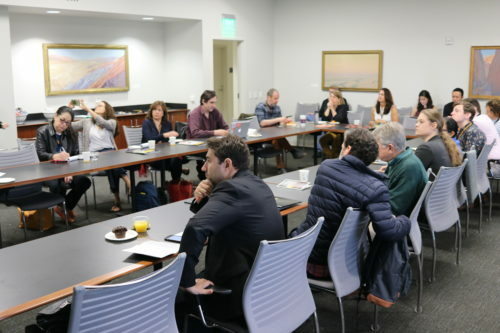 The Carsey-Wolf Center provides an intellectual as well as a physical space in which the university and the media industries can interact through classes, research projects, and colloquia. The prestigious Pollock Theater of the Carsey-Wolf Center offers space for programming of a diverse array of media and mediamakers from across the country and the world. The heart of the Center, the Pollock Theater is a classroom by day and a public theater at night – a space in which students, industry, and community come together. The facility features a sound system by Meyer Sound and video equipment supplied through a generous donation from Sony Corporation; it is equipped to show everything from early silent films to the latest in digital filmmaking. 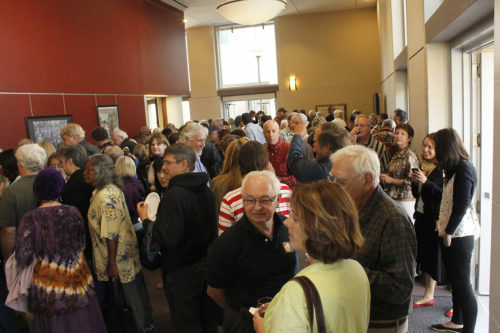 The theater and its film programming give students and the public an opportunity to engage a global film culture. 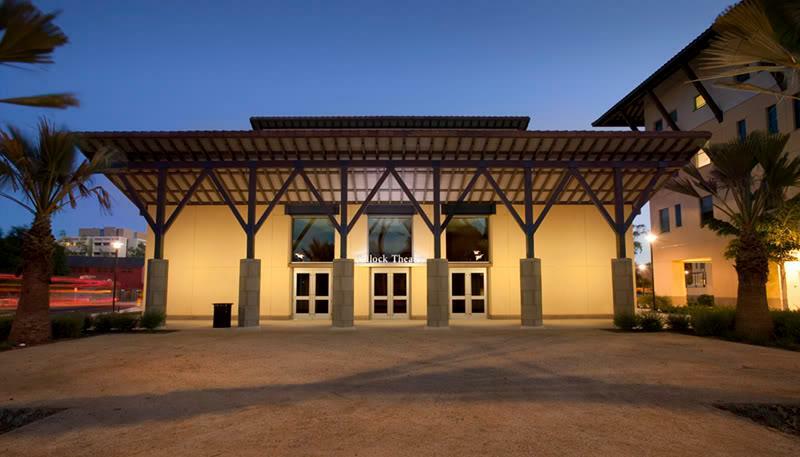 This prestigious hall at the gateway of the Pollock Theater serves as an important public venue for receptions and special events, and a symbol of the Center’s place at the crossroads of the university, the public, and the media industries. This 2,000 square foot space also includes a café, lending itself to casual interaction and discussion before and after screenings. The Annenberg Conference Room is a premiere meeting space located adjacent to the Carsey-Wolf Center’s office suite. 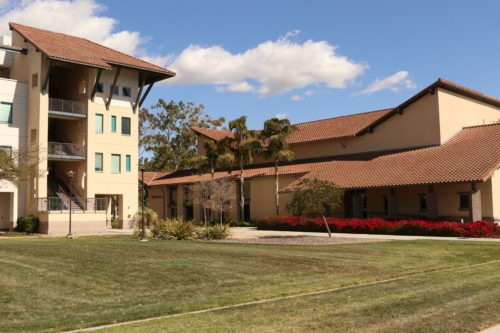 Featuring a terrace with striking views of the campus, it is used for seminars, symposia, lectures, public events, and meetings with industry leaders and policymakers. 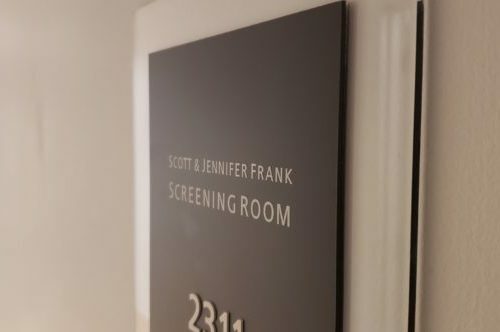 The Scott and Jennifer Frank Screening Room serves students, researchers, and visiting filmmakers. The room offers facilities for screening student dailies, as well as production demonstration and spaces for visiting researchers and filmmakers who want to view films in the Center’s archive.